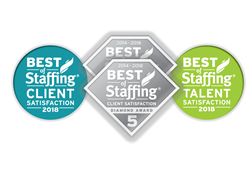 Diamond Award winners have won the Best of Staffing Award for a least 5 years in a row, consistently earning industry-leading satisfaction scores from clients and job seekers. In-Flight Crew Connections, a leading employment agency for the corporate aviation industry, announced today that they have earned Inavero’s Best of Staffing® Client and Talent Diamond Awards after winning the Best of Staffing Client and Talent Awards five years in a row for providing superior service to their clients and job seekers. Presented in partnership with CareerBuilder, Inavero’s Best of Staffing winners have proven to be industry leaders in service quality based entirely on ratings provided by their clients and the employees they’ve helped find jobs. On average, clients of winning agencies are 2.3 times more likely to be completely satisfied and job seekers who work with winning agencies are 1.7 times more likely to be completely satisfied with the services provided compared to those working with non-winning agencies. Focused on helping to connect people with the right job openings at corporate flight departments, In-Flight Crew Connections received satisfaction scores of 9 or 10 out of 10 from 81% of their clients and 83% of their talent, significantly higher than the industry’s average. 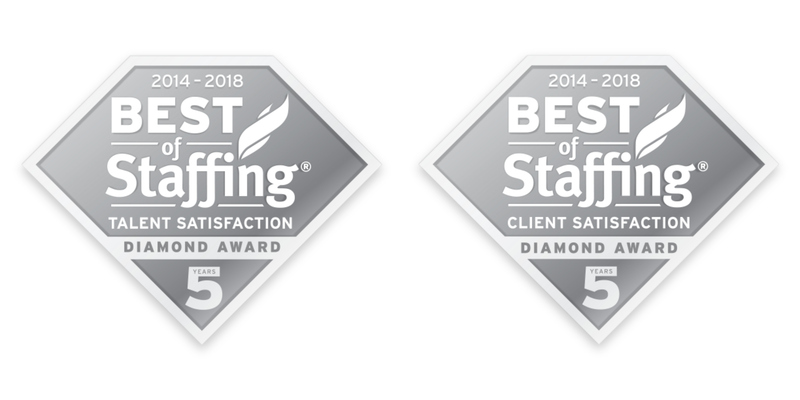 With fewer than 2% of all staffing agencies in the U.S. and Canada earning the Best of Staffing Award, just 33% of the 2018 Best of Staffing winners earned the Diamond Award distinction. The winners of this award truly stand out for exceeding client expectations. “This award holds a special place of honor with our team. Our crew members and clients recognize us as their trusted advisor and we are thrilled to have achieved this distinction year after year,” said In-Flight Crew Connections’ CEO, Jennifer Guthrie. "We are extremely proud to have earned the Diamond Award and we will continue to uphold the highest standards of service that will, in turn, help our clients succeed in making their missions possible." In-Flight Crew Connections, a global leader since 2002 provides aviation industry staffing solutions for owners and operators of business class jets. Focused on developing customized solutions that meet the unique needs of corporate aviation clients, our range of services include: ONe-Call™ Temporary Crew Services - on demand supplemental staffing for pilots, flight attendants, schedulers/dispatchers, aircraft maintenance technicians and engineers, Payroll Services, Management Service, Recruiting & Placement, International Staffing, and Concierge Services. The company is a privately held, WBENC certified women-owned staffing firm headquartered in Charlotte, North Carolina.